You can accomplish anything if you’re determined enough, even if you don’t have the background. Where to start? With the basics, I guess. I’ve been working in the fitness field since 2007. I actually finished my first certification while I was still in high school, then jumped right in after I graduated. Unlike many in the fitness industry, however, I decided that I needed a formal education to help me better understand how to change lives. Make note of the word change – we’ll come back to it. I completed a Bachelor’s degree in Kinesiology, took a couple years off, then jumped right back in and completed a Master’s degree in Kinesiology. Plus a few more certifications. More school than I’d planned, but it was worth it. And during that time, I’ve worked in commercial gyms, I’ve done my own thing helping people reach their fitness goals without gym access, and I’ve provided writing services to a variety of clients. Oh yeah, I almost forgot – I practice what I preach. 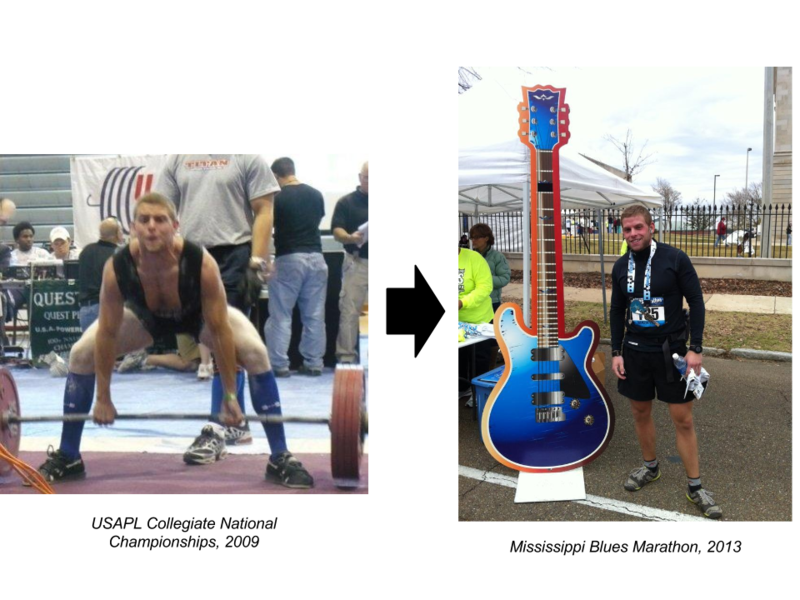 I have a background in powerlifting as a 165 collegiate lifter, but eventually switched to endurance sports. This drastic change taught me that the gym isn’t the only option. More importantly, I learned that fitness doesn’t have to consume your life. Since then, I’ve tried to make sure that my training remains varied. In other words, not gym-dominant. I’m a big believer in activity that takes place outside of the typical gym environment and I do my best to pass this belief on to my clients. Around the time I switched sports, I started coaching movement. That’s what it’s all about, right? Being active. Moving around. That’s what I help people get good at. Moving. And on top of that, changing. Changing habits. Changing lifestyles. That’s my job. Which brings me to this important point: I’m not a personal trainer. Spend a few minutes around me and you’ll learn that I hate that label. I’m a movement specialist. A change specialist. I’m not defined by the title of a certification that’s not regulated. Instead, I’m defined by my passion for movement. My passion for helping others move better and move more frequently. If you’re looking for a personal trainer, look elsewhere. I’m not here to count your reps, and I’m definitely not here to babysit you. I’m here to help you change your life. Let me know when you’re ready to get started. Takeaway: Movement is awesome; Change is awesome; I’m awesome at helping you move better and make positive changes.